'Deus Ex: Human Revolution' is here; and what better way to celebrate it than to release a documentary? Don't worry, this one's fun: A new short film highlights the lives of those who have real-life robotic prosthetics. The latest Deus Ex game centers around a character names Adam Jensen, who undergoes extensive surgery that effectively turns him into a cyborg. This 12-minute documentary looks at just how far away present-day biomechanics are from the futuristic robotic augmentation portrayed in the game. The brief film was commissioned by Eidos Montreal and Square Enix, and is fittingly narrated by Rob Spence. 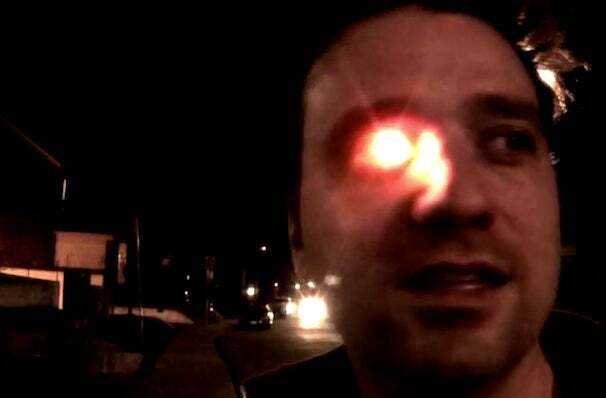 Rob has something of a history with cyborgs--he first announced his intention to install a camera in his eye socket back in 2008, and has since made it a reality, garnering the nickname Eyeborg. The interesting documentary, which you can watch below, highlights the lives of numerous people who live with robotic prosthetics, and showcases the work of several biotechnology leaders. It also explores cybernetics and human augmententation in general. Heath Calhoun from Tennesee lost his legs during his time in the Army, today he has two bionic legs and now skis for the USA national disabled team. Deus Ex: Human Revolution is set in the year 2027, and considering the developments highlighted in this documentary, just how realistic could the future-vision depicted in the game actually turn out to be?